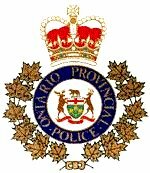 A brief history of the O.P.P. Video - OPP Veterans' Assn. Games - Try them out ! The aim of this website is to show you a brief history of the O.P.P. along with old photos of officers and equipment, artifacts, insignias and other memorabilia used by the O.P.P. over the years. The general information and photos shown in this site were obtained from several other websites and elsewhere and are believed to be part of the public domain. If, for any reason, any portion of this site is not part of the public domain, please advise the webmaster at rousseau@xplornet.com and the necessary corrections will be made. So, come aboard, sit back, relax and learn about the early years and of the changes that took place in the Ontario Provincial Police Force.